I was starting to get worried that Manager Joe Girardi was going to say that he had decided to go with Aaron Hicks for right field, but fortunately, he made the right decision in announcing that Aaron Judge had won the competition. Aaron Hicks returns to his role as the team’s fourth outfielder. How about a starting win this year? As expected, Luis Severino has been named as the fourth starter in the rotation. I am really hoping that he puts up a “W” in his first appearance so that we don’t go into Year 2 as a starter trying to chase wins. I am cautiously optimistic or pessimistically hopeful but I’d like to see Severino prove that he is the right choice. Congratulations to both Jonathan Holder and Chasen Shreve for making the Opening Day Pen. As expected, Bryan Mitchell will join Adam Warren, Tommy Layne, Tyler Clippard, Dellin Betances and Aroldis Chapman to round out the crew. Unfortunately, this means that Ben Heller did not make it and will head to Scranton/Wilkes-Barre to await his call. But like death and taxes, it’s inevitable that Heller will be part of the Scranton/Wilkes-Barre-New York shuttle. The Starting Shortstop for the New York Yankees. Sadly for me, it is “Mighty Mouse” (Ronald Torreyes). Pete Kozma will be added to the 40-man and 25-man rosters to serve as the backup shortstop while Didi Gregorius is out. Either way, there’s not going to be much offensive production from the position until Didi returns. So hopefully Starlin Castro and Greg Bird are able to get out of the starting blocks very quickly this year. No word what move will occur to open the 40-man roster for Kozma but the most logical answer is the placement of Tyler Austin on the 60-day DL (foot). At least he wasn't traded. Rob Refsnyder didn't make the final cut and will be on his way to Scranton/Wilkes-Barre to start the season. He left recognizing that his bat is his ticket back. The Yankees keep steamrolling through the exhibition schedule. In the latest Grapefruit League action yesterday, they crushed the Philadelphia Phillies, 14-1. The game was over after the first 1/2 inning when the Yankees put 9 runs on the scoreboard in the top half of the 1st frame. Newly named 4th starter Luis Severino cruised through five innings, allowing 5 hits, one run and one walk. He struck out 4 Philly batters. On the other side, Jerad Eickhoff, one of the Phillies' better young pitchers, only lasted two-thirds of an inning while giving up 6 runs to inflate his Spring ERA to 81.00. Yikes! 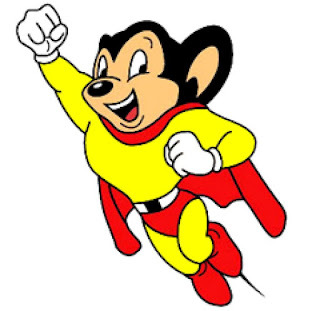 I should probably quit ragging on Mighty Mouse. He homered and had 4 RBI's in the victory. Gary Sanchez and Rashad Crawford also homered in the game for the Yankees, who are now 24-8-1 for the Spring with one game to go (opening the new stadium in Atlanta with the Braves later this evening). I don't understand why the starting right fielder was even a question. It's not like Judge had a bad spring... he hit .344/.403/.557! At that point it doesn't matter what Aaron Hicks did. Sure, you want the team to win this season, but at this point setting things straight for the future trumps all. At least it should.